ACI Terminal offers 200sq mtrs of Temperature controlled storage. Chilled or Ambient conditions can be offered with our state of the art refrigeration. 200sq Mtrs of Cold Store which has been Thermal Mapped . 9sq mtrs of Frozen storage. 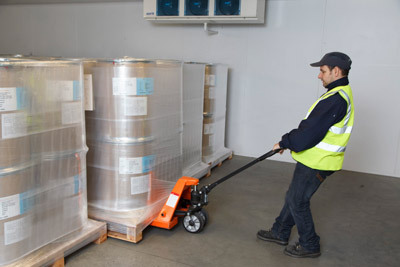 Supply Dry Ice for Air shipments. Thermal Blankets supplied for Air Shipments.